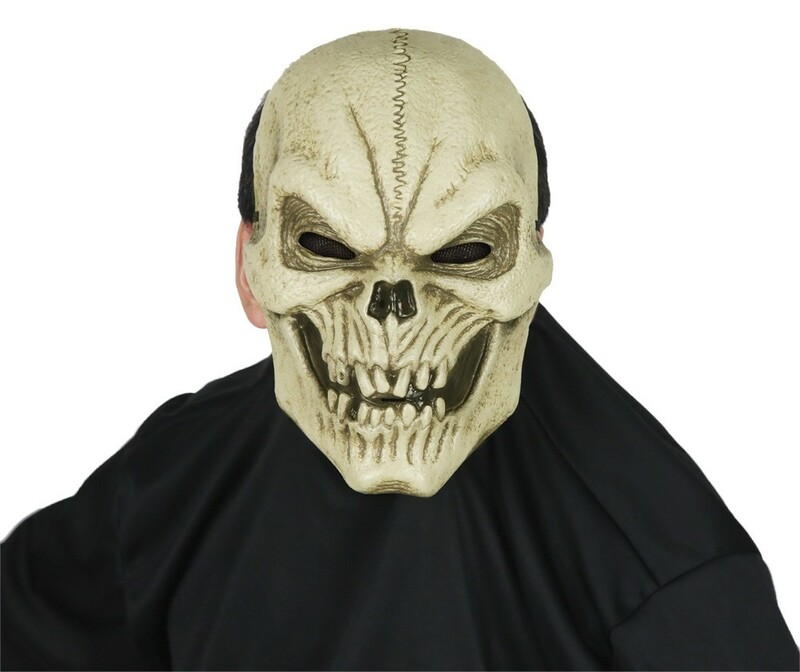 This creepy skull mask is sure to spook everyone with an evil grin that is perfect for any skeleton or reaper costume! 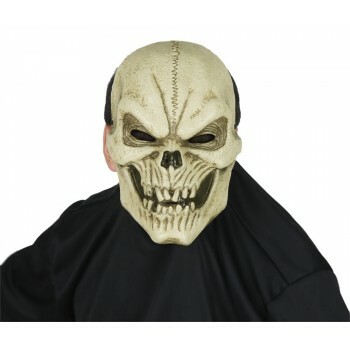 Includes an elastic strap and a foam square at the forehead for comfort. 98% PVC, 2% polyester. One size fits most adults.